Divine! Those scones are just too irresistible. Lisa... These are so deliciously tempting!!! Love them.. I would love to have one now. Lisa, I hereby nominate you "The Scone Queen"
You make amazing scones.... awesome! I know, I'm scone crazy! ;) I should count how many scones I've posted. Perfect scones, Lisa. I want a few for the breakfast. i have yet to try the scone recipe in the Bouchon Bakery Cookbook but after seeing your irresistible creations I will have to try the recipe! Wishing you great sales at the bake sale! The Texan disaster was an event the world won't forget easily. It's wonderful what you are doing to help your community,Lisa. Ahh, and the scones look amazing! The scones look great, Lisa. I like the baked goods from Bouchon. Thanks for sharing! Think it's a fine thing Austin Bakes does this to help raise money for disasters. Your contribution looks luscious, Lisa. 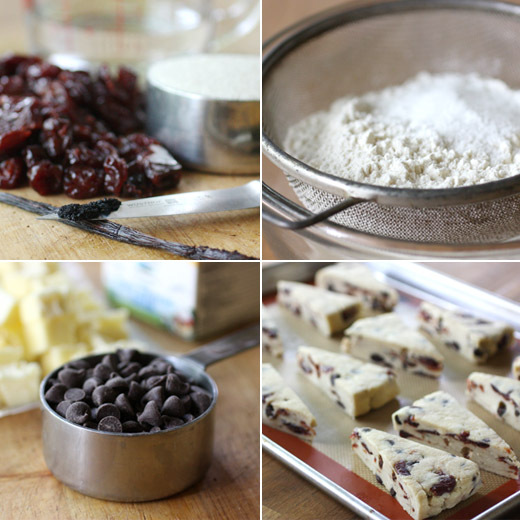 Clever idea to soak the cherries, so often they are too chewy in a scone after baking. Aw, this looks amazing! I gotta make this. Such a tragic event but it's comforting to know that there are people like you who care to go into such trouble to help others. I've yet to make scones but I think after this amazing description of yours, I would love to try them. The Austin Bakes fundraisers sound like such a wonderful idea. Your scones look so delicious too, I love the look of that glaze! That freak explosion was a tragic event for sure. Hopefully people are starting to piece things back together...slowly of course. Neither one of us has made scones before, but they are a comforting treat when times are hard. 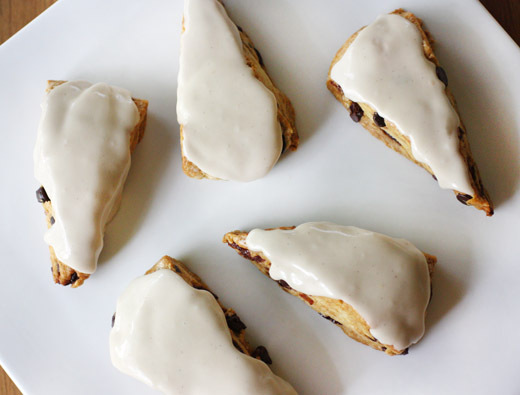 I almost made scones this weekend, so your post is perfect timing. These sound amazing - first because I love the combo of chocolate and cherries but also because of the soaking of the cherries first. I must get this cookbook and try these scones. The Austin Bakers fundraiser is a wonderful event especially if it helps people affected by that stunning explosion! These are stunning and I bet beyond delicious. What a great idea for the sale! I wish I could have participated but have been in NYC almost all month working and am sick to boot. Great job on these Lisa - you're sure going to wow the kind folks of Austin! It's so nice of you to participate in a bake sale! 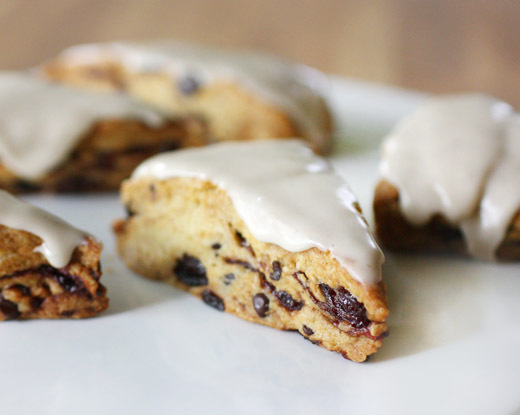 I'm not usually a scone fan, but these look great with the cherries and glaze! A very indulgent treat, would work well with a big mug of tea to perk you up in the afternoon! These look like some of the best scones I have seen in a while. These scones look terrific! I've never heard of freezing scone dough before baking. I'll have to pick your brain in Saturday as to what the benefits were. I hope the sale went great, it was a good cause. And this scones look delicious, just perfect. Amazing scones, Lisa. I want it with my tea, everyday! La Brea Bakery makes this chocolate cherry bread that is out of this world. I buy it every chance I get. So this scone has my name written all over it. Aw yum!! I just bought a packet of dried sour cherries last week and this looks like a beautifully warm and fluffy home for them (yay!). Love the sound of that gorgeous glaze. When I get time to make these, I'll let you know how they go!